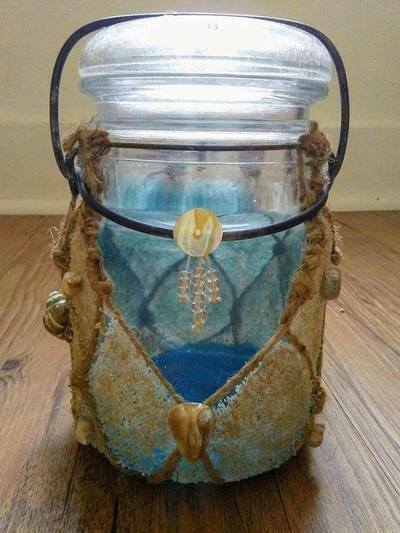 This beautiful jar is hand painted and adorned with real sand and sea shells. Sea shells on here were collected by me over the years from the beaches of Lake Champlain in upstate NY. Keep as a decorative jar or add an amazing touch with an LED tealight or mini string lights. The choice is yours. Perfect for that beach themed room in your house or that of a loved one.